When you want to save all of your video footage, you need lots of space. That’s why the Cirrus Cloud Storage Box is so useful, because it stores up to 2TB of live video footage and photos, keeping them safe forever. This cloud storage box is compatible with the Cirrus i6 and the i8 nanny cams, the Cirrus o7 (outdoor cloud security camera) and the Panda hidden camera. Let’s take a look at the features of the Cirrus 2TB Cloud Storage Box. Stores up to 60 days of video. Access footage from 4 video cameras. Compatible with Cirrus i6, i8, o7 and the Panda hidden camera. Ethernet interface: 10/100Mbps RJ-45 connector. Hard drive speed: 7200 rpm. Video recording: Supports up to 4-channel 720p video. Weight: 2.2 lb. (1 kg). Size: 7″ x 7″ x 1.9″ (17.8 x 17.8 x 4.8 cm). 1 year SpyTec Limited Warranty. 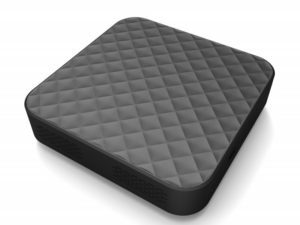 Why buy the Cirrus 2TB Cloud Storage Box? Over the past few years, people have found that storing their live video feeds and images to the cloud saves both time and money. They are also safe from hackers and if someone steals your SD card or your PC, you still have all of your footage and snapshots safely stored on the cloud. The problem is that cloud storage is quite often, very expensive and when you find that you have to pay to store your videos on the cloud, it can increase the price of your nanny cam or security camera quite substantially. This is why this 2TB cloud storage box is such good value, because there are no ongoing fees, once you have purchased it from Spytek. Another good reason to use this cloud storage box is that many nanny cams when you save the footage to the cloud, simply overwrite the footage when your storage is full – and you have to pay for more storage. Other cloud packages keep your footage for 7 days and then delete it. 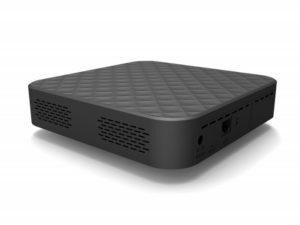 With the 2TB Cirrus cloud storage box, you have lots of space to begin with you always know that your videos and images are safe and sound. How do you use the Cirrus Cloud Storage Box? 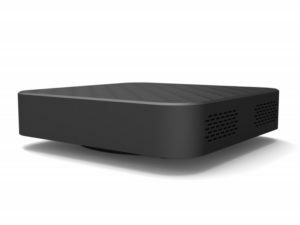 The Cirrus cloud storage box gives you 2TB of storage space on the cloud, which is up to 60 days of video footage. That is a lot of footage and to be honest, you are not going to save all of your video footage, not unless you own and operate a huge business. For someone who has the Cirrus i6 or i8 nanny cams or the o7 outdoor security camera, even the hidden camera in the Panda, 2TB is plenty of space. You will most probably only want to save videos of special events and when you have viewed all of the other footage, you will most probably delete it. You can also save all of the footage from the motion detection alerts as well, but again, it is unlikely that you will save all of your footage, so 2TB should be plenty of space. Set up is simple, all you need to do is to download the Cirrus app onto your smartphone (you might already have this downloaded if you have another Cirrus device). Connect the cloud box to the internet and add it to the list of connected devices on the app. Once your nanny cam or security camera is connected to the storage box, you can download, view and manage all of your videos and images on your smartphone, tablet or PC. To read my Top 10 nanny cam reviews, click here.